OYO Hotels has inked MoUs with the State Bank of India and Bank of Baroda for extending its support to budget hotels and creating jobs across levels. Signed under the aegis of the Pradhan Mantri Mudra Yojna, the MoUs will enable financial support for OYO’s existing and potential hotel partners for fuelling transformation and standardisation at their properties. This will also allow OYO to spearhead the creation of thousands of jobs in Tier II and III cities by nurturing micro-entrepreneurs in the hospitality sector. 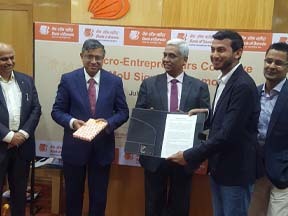 Speaking on the development, Jayant Chauhan, SVP – Fintech, OYO, said, “We are thrilled to join hands with banking powerhouses – the State Bank of India and Bank of Baroda and achieve the mission of job creation in the country by enabling the youth to emerge as micro entrepreneurs and run their own successful businesses. These MoUs will help us in shortening the demand-supply gap of quality accommodation by offering hoteliers a platform to transform their property and enhance the business by creating beautiful living spaces.’’ As a step towards enabling convenient financing for its asset partners through banks and NBFCs, OYO has also established an in-house Fintech division. These loans will help individuals hailing from Tier II and III cities to be self-employed and run their own budget assets with OYO’s diverse brand portfolio. OYO is betting big on the Indian hotel market by partnering with hotels and real estate assets with large inventory portfolio consisting of 100+ rooms under its franchisee and management contracts. In the coming years, it aspires to have 10,000+ rooms as a part of its large-asset category. 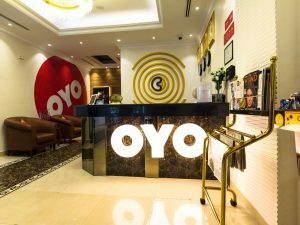 Currently, OYO has already partnered with 12 such hotels and is managing them across markets including Delhi, Goa, Bengaluru, Tirupati, Hyderabad, Noida, Vrindavan and Patna. 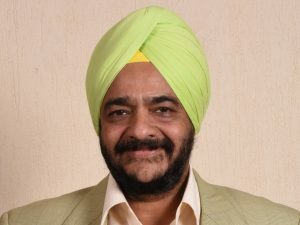 Commenting on the milestone, Maninder Gulati, Chief Strategy Officer, OYO said, “This excitement we are witnessing in the large 100+ rooms property space post establishing our market leadership with 75,000 keys in boutique and small assets is a testament of the strong and trusted brand we have created with our asset partners and customers. We are thankful to them for their continued support. 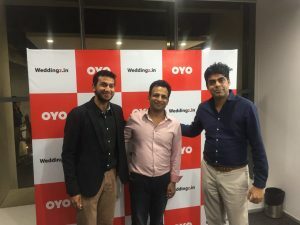 At OYO, our mission is to add value to every form of real estate and being a full-stack hospitality company, we’ve built capabilities of on-boarding hotel rooms, locked homes, serviced apartments and at the same time managing large-format hotels.” “In the past year, we’ve on-boarded over 10+ such hotels with inventory ranging from 100-200 rooms and another 10+ hotels having over 80 rooms. 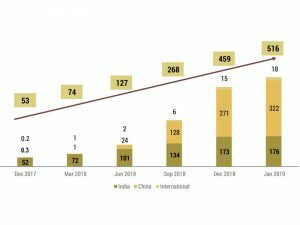 With similar additions in the coming months, we’ll continue to expand our large hotel portfolio and dominance over India’s hotel market while ensuring high yield for our partners. We are upbeat about our India story and plan to go deeper into our existing markets while adding 50+ cities to the network and capturing a 5% share of India’s hotel market by 2018-end,” Gulati said. Having inked its first business acquisition, OYO has entered into an agreement with Chennai-based service apartment company, Novascotia Boutique Homes. The acquisition will add to the company’s existing portfolio and reiterate its focus on corporate service. 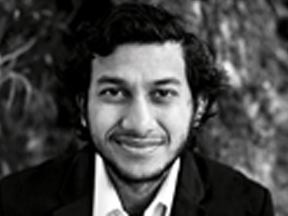 Commenting on the development, Ritesh Agarwal, Founder & CEO, OYO said, “The acquisition forms an integral part of our inorganic growth plan, in line with our ambition to create quality living spaces and add value to every form of real estate. OYO is poised to deliver 180,000 keys by the end of 2018 and with Novascotia’s strength, we will be adding service apartments to our existing portfolio.” With this acquisition, OYO will bring its distribution, operational, transformational and technological capabilities on board for offering corporate travellers accommodation options. The acquisition will boost OYO’s portfolio by 350 rooms across locations where Novascotia has its footprints. Novascotia has built a portfolio in locations including Chennai, Coimbatore, Hyderabad, Kochi and Trivandrum. OYO plans to expand these offerings to 12 cities by the end of 2018. 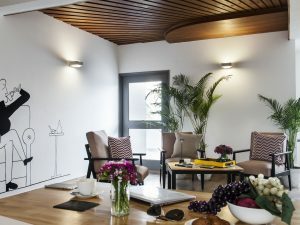 These serviced apartments are located in the heart of business hubs equipped with spacious rooms, upscale interiors, meals, gym and dining area to cater all the requirements of business travellers.